Almost Thanksgiving! This week is going to be a busy one, and I was considering skipping the posts this week. But, if you are anything like me, you’ll want something to do on Friday – something that does NOT involve cooking or shopping. So I figured I’d at least share another The Force Awakens Pixel Pattern – in case you need an after-Thanksgiving-project. …And if you do decide to do shopping over the weekend, please consider using our link for Amazon. You, using our Amazon Link, is how we can afford to keep this blog going. THANKS guys! And now, for your post-food-coma crafting project: The (presumed) Heroine of The Force Awakens: Rey! 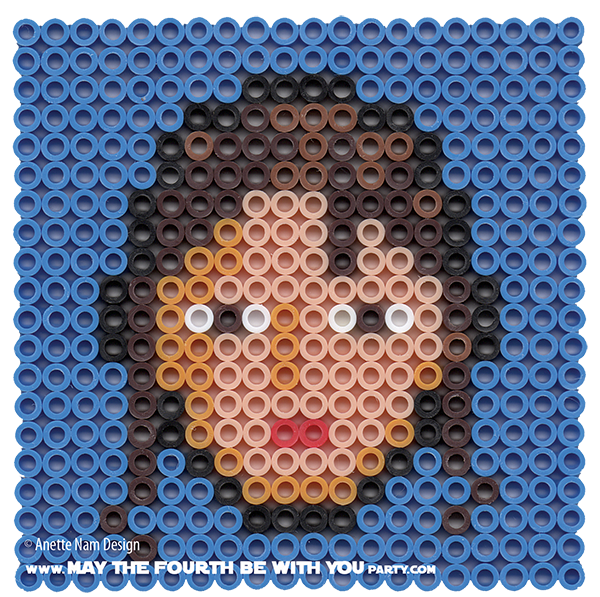 It’s the third of our TFA patterns, #31 in our Perler bead/cross-stitch/Lego/pixel/mosaic series.